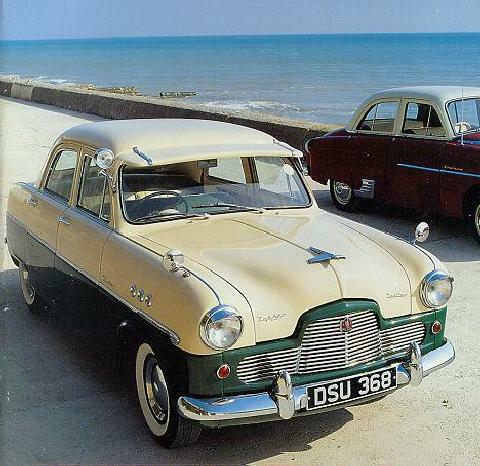 The Zephyr Zodiac (or Zodiac Mark I) was an upmarket version of the Zephyr launched at the London Motor Show in autumn 1953. 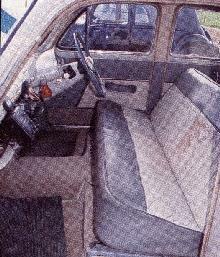 It had two-tone paintwork, leather trim, a heater, windscreen washers, whitewall tyres and spot lights, etc. The engine had a higher compression ratio - 7.5:1 instead of 6.8:1 - increasing the maximum power to 71 bhp (53 kW). A car tested by The Motor magazine in 1955 had a top speed of 80 mph (130 km/h) and could accelerate from 0-60 mph (97 km/h) in 20.2 seconds. A fuel consumption of 22.2 miles per imperial gallon (12.7 L/100 km; 18.5 mpg-US) was recorded. The test car cost £851 including taxes. There are no official records of Zephyr Zodiac convertibles being produced but there were a few estate cars.